When medical morality . . . becomes a casuality ! 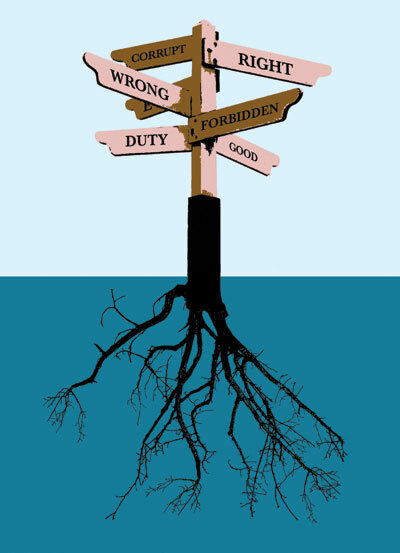 Tree of life : When professional morality suffers a mortality . 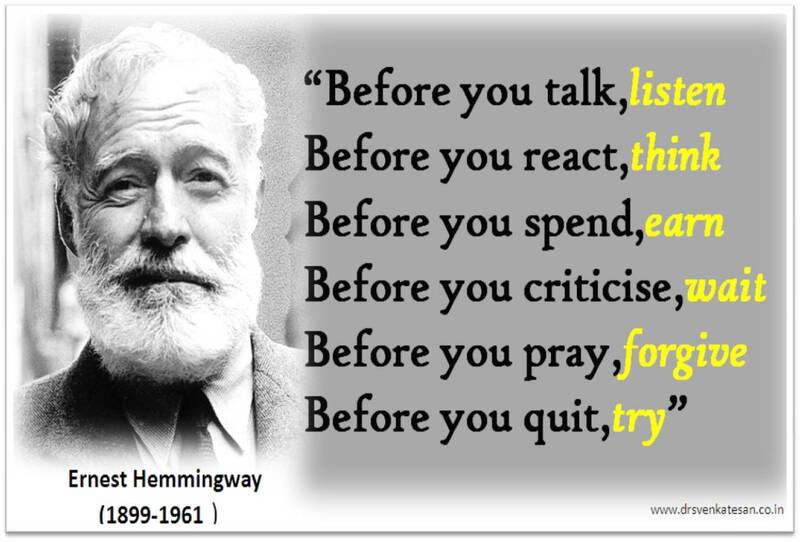 . . human health becomes a causality ! Greatest threat to the future of human health is . . .
Not from lack of hospital beds. But from . . . The way health care is administered in this planet . The way noble professionals are created . The way trivial health issues prevail over major health crises that wallop the health budgets. The way “concept of health” is sold as a buyable commodity by insurance companies. The way medical journals churns out junk articles in the name of research. The way rich spend billions for reconstructive cosmetic surgery while the poor die for want of basic medicines ! Link to a wonderful article on moral education for our kids in medical school ! A chill in Cardiologist’s spine : Unnecessary intervention becomes a definite crime ! 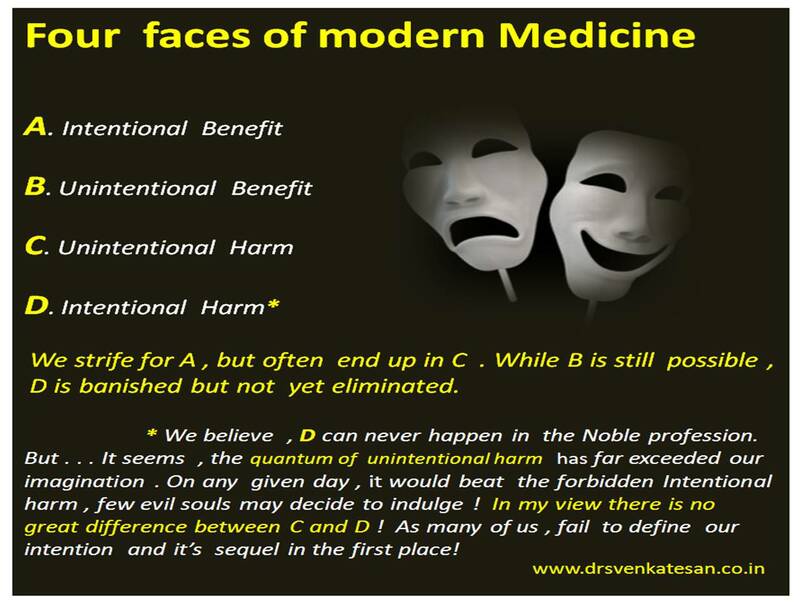 The irony of modern medical care is 9/10 times medical negligence is defined in terms of acts of omission in required level of care . 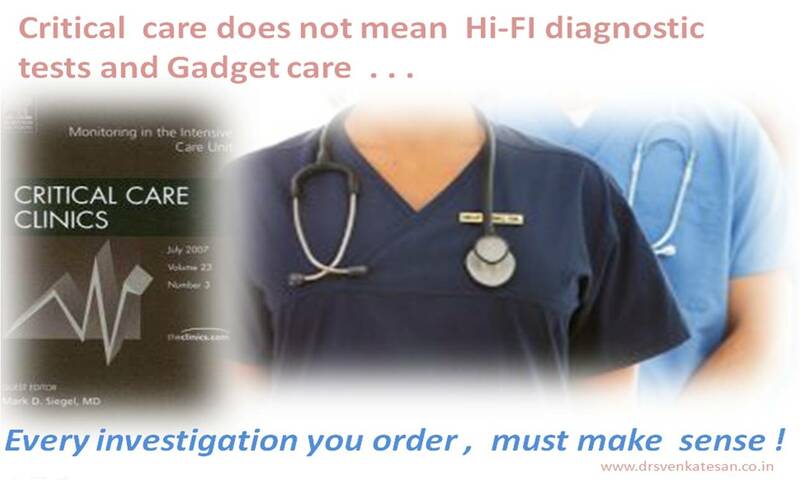 In reality most medical negligence acts are related to knowingly overdoing a futile diagnostic or therapeutic modality. This irony was never understood by the public, the professionals or even the judiciary .This remains the most dangerous issue facing modern medicine ! Finally some light is appearing in the horizon . 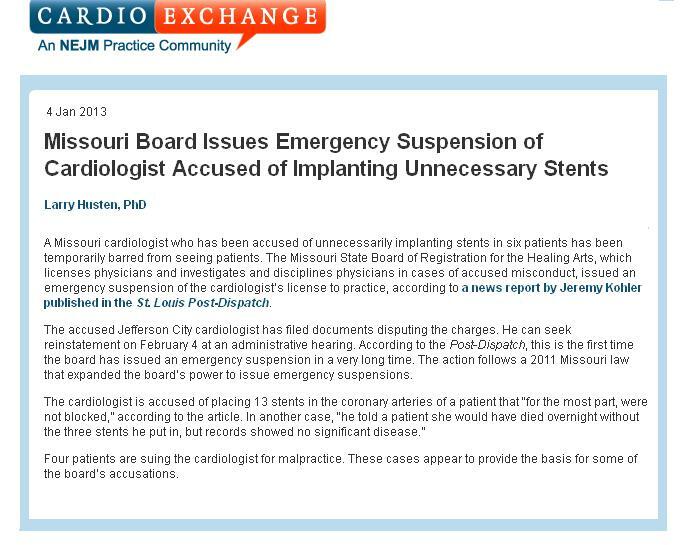 A Missouri Cardiologist is suspended for overdoing things he knows best . . . namely coronary stenting ! This may bring chills over many cardiologist’s spine . What does CRPs, Apo-lipoprotein B, and homocysteine do in coronary care units ? In one of the corporate hospitals which I visited in my city(Chennai*) , happened to see a nurse taking blood sample from a patient who has been just admitted in a Hi-tech coronary care unit for UA-NSTEMI. It included blood tests for CRPs,homocysteine,Apo-lioprpitein B etc . She was being supervised by a capitation fee fed , just delivered , neo- medical graduate from a country side medical college. I asked her what for you’r doing these tests. She said , it is to detect risk of developing CAD. . . .I reminded her , the patient had already developed full blown CAD . She was too innocent to say ” I do not know all those things sir , my consultant asked me to do it ! This is how some corporate coronary unit* functions and handle their prized possession . And every one enjoys it , as science prevails over common sense ! * Shall I name the hospital ? . . . No , it would invite trouble . . . oh , what a freedom of expression we enjoy ! 200 years of Inappropriate cardiology care ! It was the year 1812 , exactly 100 years before the Titanic sank over the Atlantic , a small bulletin from Massachusetts General Hospital was released . It later on became the single most important journal for the medical community. The appearance of an article about angina pectoris in the inaugural issue , reiterates the importance of cardiology even in those days of primitive medical care . The volume. 1 : No. 1 issue of NEJM egan with a classical and critical observation of angina pectoris written by Jhon Warren . Those were the days when angina was treated with tincture opium and Fowler solution (Arsenic potash ) .They can be termed as height of inappropriateness and also condemnable acts . . . is it not ? 200 years later . 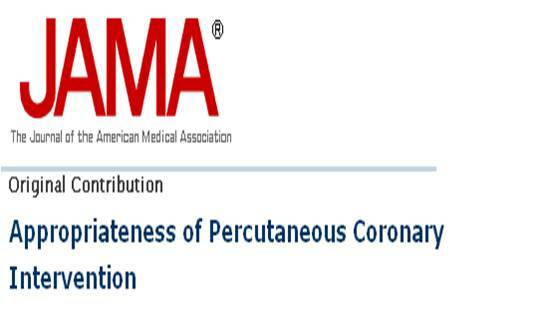 . . in 2012 what do you think has changed , in terms of appropriateness of management of angina pectoris ? What a surprise , two centuries later , even as we are treating angina in hi-tech cath labs with bio-degradable stents and metabolic modulators , bulk of our population is grappling with inappropriate therapy for angina pectoris . Today ,patients are subjected to questionable modalities in the management of CAD , which the following paper tries to expose ! What a way to progress in Medicine ! The reason for this “200 year old ailment” is attributed to extreme scarcity of common sense ! When we look at human history , where billions lived ( and continue to live ) in this age old planet , it would appear a trivial matter whether you treat angina pectoris with Tincture opium / Arsenical potash or Prasugrel / Rosuvsatin . . .
Whatever be the scientific advancement the ultimate outcome on human health will depend on how we apply it. So, all young medical fellows beware of this !